This month our spotlight is on AEpiA member Dr Joshua Ho from the Victor Chang Cardiac Research Institute in Sydney. 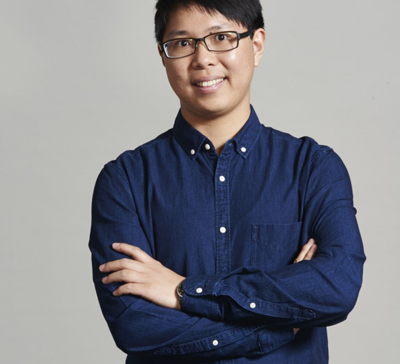 Since returning to Australia from the US in 2013, Dr Joshua Ho has certainly made an impact across Australian bioinformatics, genomics, epigenetics and cardiac research fields. His achievements during this time include a Nature publication in 2014 and two awards in 2015 – the NSW Ministerial Award for Rising Stars in Cardiovascular Research and AEpiA’s Illumina Early Career Research Award. Recently Joshua was also awarded a NHMRC/National Heart Foundation Career Development Fellowship which will support his research for the next four years. After obtaining a PhD in bioinformatics from University of Sydney, Joshua’s interest in epigenetics began in 2010 with a postdoctoral fellowship at Harvard Medical School, where he worked between the Computational Genomics Laboratory of A/Prof Peter Park and the Developmental Genetics Laboratory of Prof Richard Maas. There, Joshua managed and analysed vast datasets generated by the modENCODE project, the aim of which is to identify all the sequence-based functional elements in the model organisms Caenorhabditis elegans and Drosophila melanogaster. Bringing together datasets from both modENCODE and ENCODE (which is identifying functional elements in the human genome), Joshua and his colleagues compared chromatin patterns across the three species. While they observed many conserved features of chromatin organisation across humans, worms and flies, they discovered notable differences in the composition and locations of repressive chromatin. This research was published in Nature in 2014 and provides a rich resource for future species-specific investigations of chromatin composition, organisation and function. 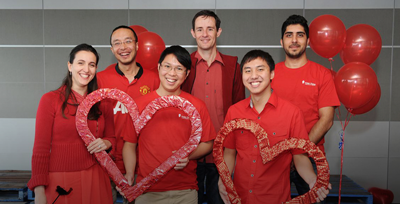 In 2013 Joshua returned to Australia to set up the Bioinformatics and Systems Medicine Laboratory at the Victor Chang Cardiac Research institute. He says he was somewhat surprised, as a bioinformatition, to receive the Rising Star award and the AEpiA Early Career Award last year, but that these honours show how computational biology has gained prominence in genetics and genomics research, and how the field of epigenetics is expanding and increasingly generating huge amounts of data. He talks excitedly about recent developments in bioinformatics and how we now have the ability to perform analyses that we couldn’t have imagined doing five years ago. Joshua advises all researchers, regardless of your field, to invest in bioinformatics training so that you can interpret next-generation data. Joshua now has a large team working with him on a diverse range of projects. Their main focus is on developing fast and reliable bioinformatics methods to identify the genetic causes of inherited heart diseases, and involves integrative analysis of diverse genome-wide datasets, especially next-generation sequencing (NGS) data such as RNA-seq, ChIP-seq, DNase-seq, and whole genome sequencing data. Joshua is also expanding his chromatin landscape studies to fungal epigenomes. Another focus of Joshua’s team is bioinformatics software testing and quality assurance. They have identified a lack of consistency and proper software testing methodologies in bioinformatics program design and application; their goals therefore include implementing systematic guidelines for software testing, by developing a software package that will help bioinformatics program developers to design, execute and report test cases. Joshua’s passion for his work is very clear, and he enjoys sharing his knowledge with the next generation of scientists. He runs workshops on bioinformatics software testing and quality assurance in Australia and at overseas conferences. Recently he has also become involved in Scientists and Mathematicians in Schools (SMiS), a national program managed by CSIRO that gives skilled volunteers the opportunity to have a positive impact and make a difference to science, technology, engineering and maths (STEM) education in primary and secondary Australian schools. The Australian Epigenetics Alliance congratulates Joshua on his wonderful achievements to date and we imagine we will be seeing plenty more from this rising star in the coming years.